On February 25, 2015, the Fairfax County Chamber of Commerce announced that Origent Data Sciences, Inc. has been selected as a finalist for Health & Life Sciences Innovator of the Year, for the Greater Washington Innovation Awards. 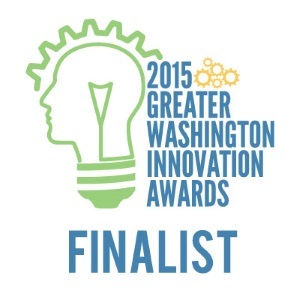 The 2015 Greater Washington Innovation Awards celebrate the people and organizations who introduce new methods, ideas and products to improve our lives and challenge the status quo. Their innovations create new consumers and markets, and ultimately transform the way we do business. The winners will be announced live at an April 20th awards gala at the Hyatt Regency Reston. Origent is honored to be recognized, and thanks the Fairfax Chamber for its continuous work supporting the strong spirit of innovation present throughout the Washington D.C. metro area.